Israeli author Jack Michonik is a well-traveled writer. Born in Switzerland, of Russian parents and raised in Bogota, Colombia, he then attended high school in New York and graduated in Business Administration from the University of Grenoble, France. He then lived in Cali, Colombia for 20 years before permanently settling in Tel Aviv. 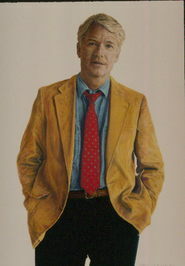 His many books are written in Spanish and are translated into English and French. In many ways Jack’s book is enhanced by his living in Colombia – a first hand sense of place and climate and philosophy and history. The book was originally written in Spanish as LA DESCENDENCIA in 2003 and translated into English as THE HERITAGE in 2014. 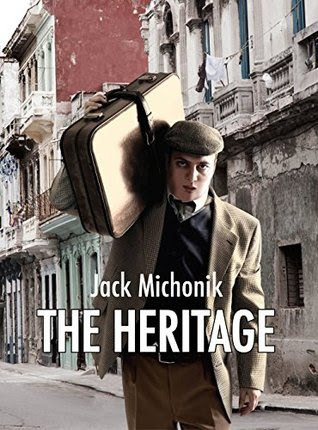 One aspect of this writing that makes it particularly atmospheric is Jack’s incorporation of Hebrew phrases in the relating of the story of members of the Jewish diaspora from the horrors of the Holocaust who fled to South America. It works very well indeed. Though there are many novels composed in response to the Holocaust and the consequent flight of the Jews for safety, for life in countries far from the core of anti-Semitism, few relate that the birth of Jewish communities as well as THE HERITAGE does. As Jack state, ‘they just wanted a better life and fought as hard as they could to get ahead in the new world. Not only is this an intense story that captures the reader’s imagination, it is also a very fine reminder of a period in time and the subsequent effect on the live of many. Highly recommended.